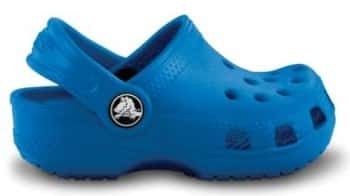 Save 25% on Baby Crocs and Get FREE Shipping! For a limited time, Take $5 Off All Footwear + Free Shipping with code TAKE5 only at Crocs.com! This deal starts today and is valid through 5/22! Snag some cute Baby Crocs for this summer! Perfect little summer sandals for your little one. Or snag a pair for Dad for Father's Day!